The Finest Saxophone Stand on the Market! The perfect stand for your Alto or Tenor saxophone. 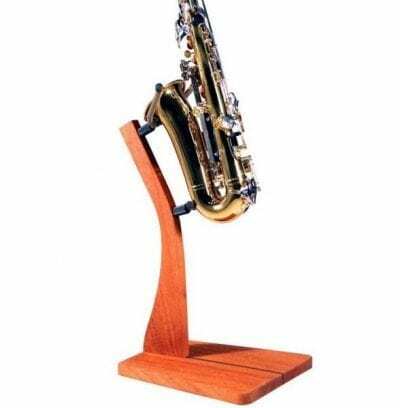 Show off your prized instrument with this superb, beautifully handcrafted solid wood saxophone stand. Individually hand-crafted using premium solid wood. Absolutely no particle board and no laminate. This is a furniture-quality stand that will last you a lifetime. Your stand is extremely stable and very strong. Display your saxophones with confidence! Also features the USA-made String Swing cradle….the finest available. 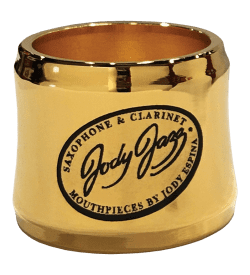 Safe for all saxophone finishes. Assembles quickly and easily. Requires only a Phillips head screwdriver and takes just minutes. 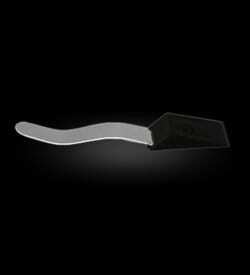 The hand rubbed oil finish hardens in the wood, not on the wood. Your stand will get better with age. Free bottle of lemon oil included to keep your stand looking shiny and new. Superior Wooden Saxophone Stand. The finest Saxophone stand on the market. Show off your prized instrument with this superb, beautifully handcrafted solid wood floor stand. The perfect stand for your Alto or Tenor saxophone. 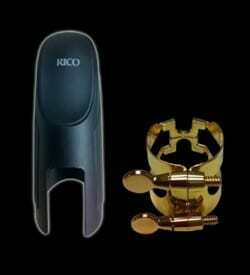 The Premium stand for a Premium instrument.